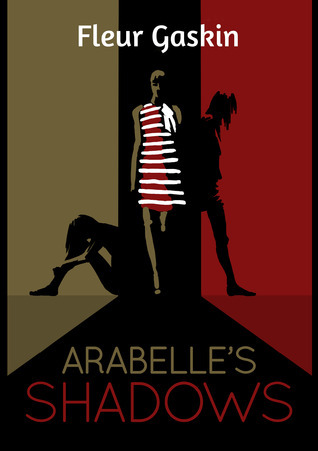 ARABELLE’S SHADOWS is similar to Ellen Hopkins’ novels: emotionally gripping and heartbreakingly realistic. It’s like therapy, in a book. It is based on a true story, the author’s own experiences. But at the core, ARABELLE’S SHADOWS is about a lost girl who just gets caught up in life because there isn’t anyone to guide her in the right direction. As a model, Arabelle is already facing pressure on body image, drugs, and romantic trysts-what a real teenager faces except tenfold. People who she thought were her friends end up having ulterior motives, and no one is really there to help set her straight. With all the pressure and no one to lean on, Arabelle succumbs to the Shadows. The Shadows are familiar, disturbing close. They know everything about you, everything you’ve ever done, and they like to remind you when you’re low, making you fall deeper into them. Everyone has their own Shadows, each one taking a unique form. I think that is what makes this so great, it is relatable. All of us knows the feeling of your own personal Shadow leaning over your shoulder, just ready for you to doubt yourself and your happiness. Written like a diary, the writing takes some getting used to. After all, it goes against what we have been taught: show, don’t tell. A diary is the epitome of telling. The diary was a strong point in major parts of the novel, but sometimes it was a weakness.I thought this would focus on more modeling, and I am glad to see that was not the case. It’s more of a background, to show you how the atmosphere makes it so easy to develop Shadows. I also had doubts because it was based on a true story, but I was wrong. The reality is what makes the novel even stronger. With a few faults, ARABELLE’S SHADOWS is a great read for those fighting their own Shadows, and fans of heavy contemporary/realistic fiction. This sounds like a good book. One I would like. I got into a series awhile ago about a girl named Violet who got into modeling. It was more light than this novel, but it was good. Thanks for commenting! It definitely has more going for it than modeling so you should check it out! Wow sounds like a good book! Would be a very nice item for a school library. I really like the cover though, I could kind of predict parts of the book by just looking at it! I agree, the cover is definitely perfect for the story! I am down with emotionally gripping, heart breaking and realistic. I haven’t heard of this one, so thank you for the review putting it on my radar. I know you are, Brandi! You’d love this!